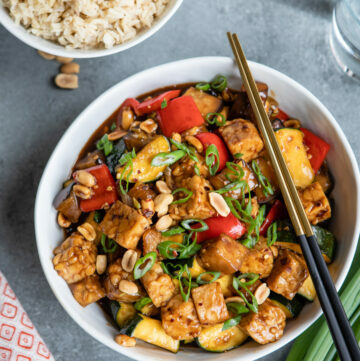 Tempeh is one of my favorite vegetarian protein sources and tempeh bacon is probably the easiest way to work it into a meal. 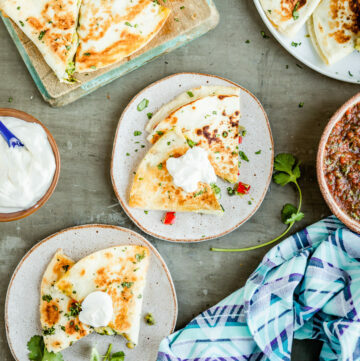 The slicing and marinating is all done for you, so all you need to do is heat and eat. 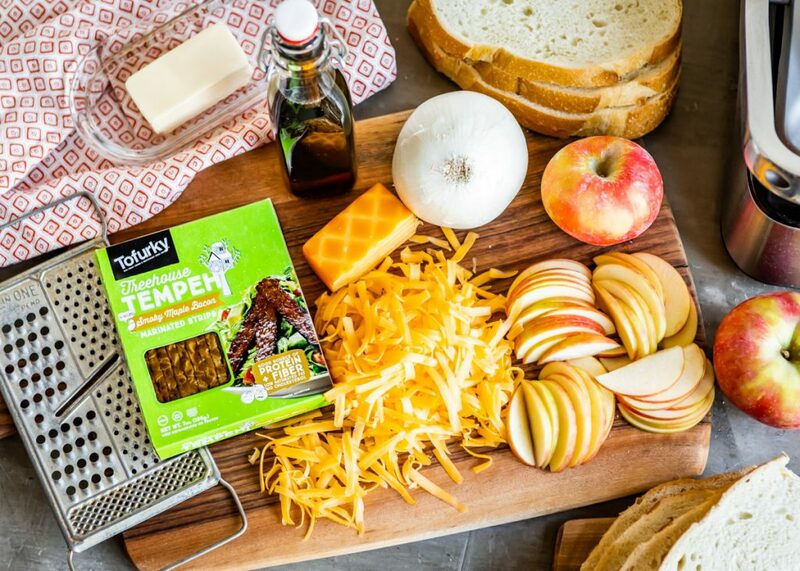 Of course, you can totally make tempeh bacon at home too, but I’m all about those shortcuts that make getting dinner on the table a little bit less stressful, so I almost always buy the pre-made version from Tofurky. I love crumbling it up and adding it to salads and I often fry up a few strips as an easy protein source to serve with breakfasts. 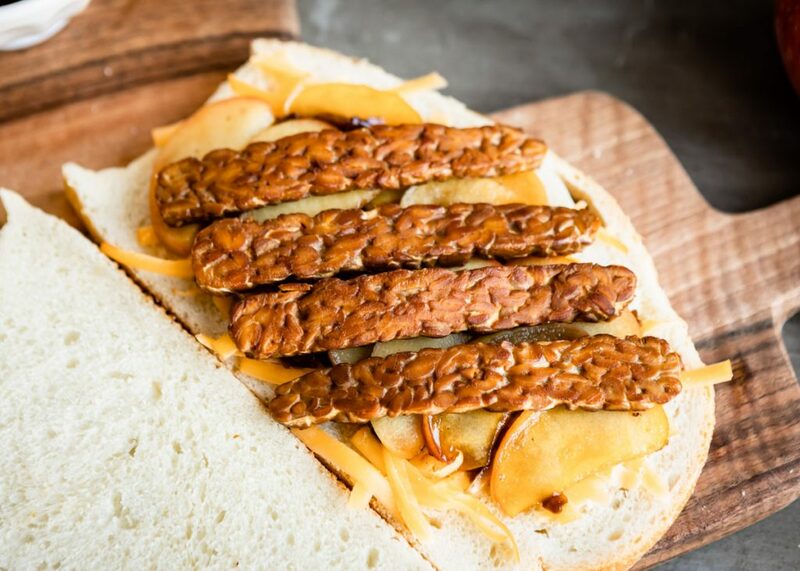 But the best way to use tempeh bacon, in my humble opinion, is to add it to a sandwich. You can’t go wrong with a BLT, but with apple season here, I decided to pair tempeh bacon with maple sautéed apples, caramelized onions, and cheddar for the ultimate fall panini to serve alongside a creamy butternut soup or kale salad. 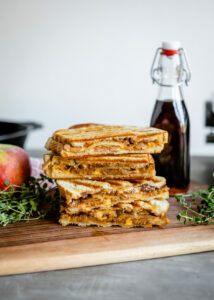 If you eat dairy, I recommend a sharp or smoked cheddar for this Maple Apple, Caramelized Onion & Tempeh Bacon Panini. On a plant-based diet? 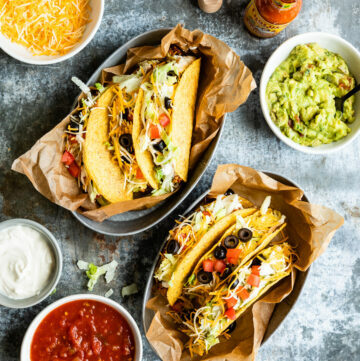 Opt for a vegan cheese that melts–Chao is my favorite, but Daiya shreds work well too. 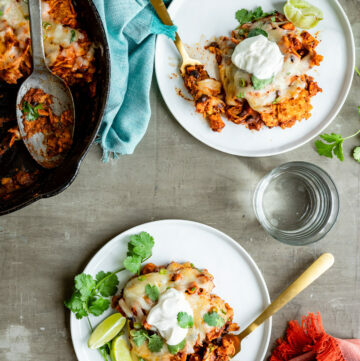 I try to share simple recipes here on Hello Veggie, and I will admit–there are quite a few steps to this one! But trust me when I say it’s worth it. 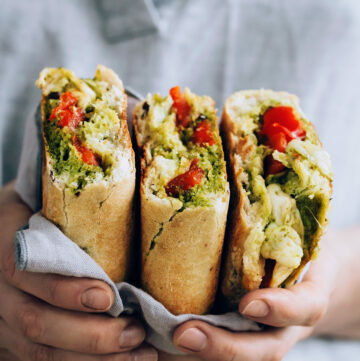 The good news is that if you’re into the meal prep thing, you can prepare the different components of the sandwich in advance so all you have to do is assemble and cook when you’re ready to eat. 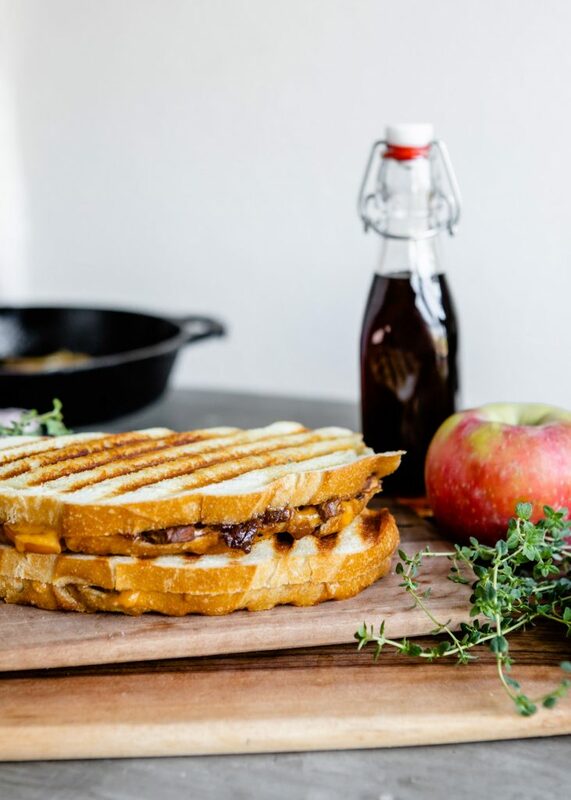 Savory tempeh bacon, jammy caramelized onions, and sautéed maple apples make this panini irresistible. Once the onions are caramelized, transfer them to a small bowl. Return the skillet to medium heat; melt 2 teaspoons of butter in the skillet and add the apple slices. Cook the apple slices until they're tender, about 5 minutes. Stir in the maple syrup and cook for 3-5 minutes more, or until the liquid is absorbed and the apples are just beginning to brown on the edges. Remove from heat. 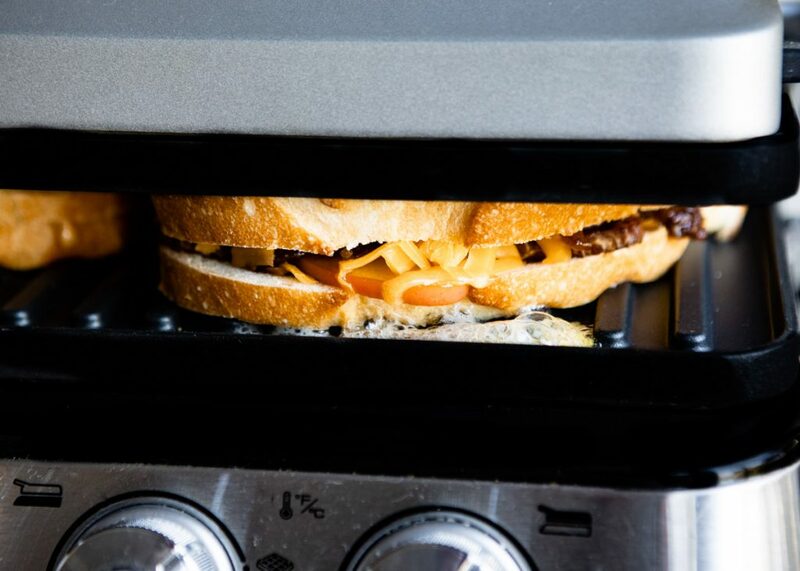 Heat an indoor grill or panini press to medium heat. While the grill is heating up, place 4 pieces of bread on a cutting board. Top the slices with half the cheese, then the caramelized onions, maple apples, bacon, remaining cheese, and remaining bread. Spread the tops of the sandwiches with 1/2 teaspoon of butter. Place the buttered side down onto the panini press or grill, then butter the opposite sides with the remaining butter. Gently press the top of the grill down and grill the sandwiches for about 5 minutes, or until they have nice grill marks and the cheese is melted. Serve immediately. To save time, the onions and apples can be made in advance.